The word Isis in English is mean a condition a pathological state usually referring to the human body and sometime used in war. The word pathological beyond ur control e.g pathological liar – they find it difficult to tell the truth or cause of a disease. Our sign for our dollar bill is and s. With two stick is u expand it Look like Isis and the Egyptian president el sisi which is Isis spell back ward I tell u beware of people group and system with the word Isis in them. Biblical! ISIS Militants Blow Up Burial Site of the ‘Prophet Jonah’! 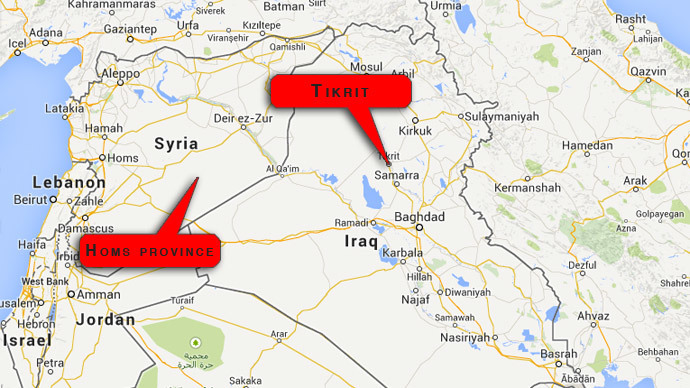 The Islamic State militant group is on the rise in Iraq and Syria after crushing Baghdad’s plans to retake Tikrit. Hundreds of troops have been captured and 270 people were murdered in a Syrian gas field following the jihadists’ biggest attack yet. ISIS gunmen stormed a former US base in Tikrit, a city the group has held since June 11 and government forces have battled unsuccessfully to reclaim. The latest failed attempt marks what may be the army’s final push to reclaim the lost ground. According to McClatchy DC, witnesses testified that by Friday the last of the government troops had surrendered to ISIS, and Camp Speicher had fallen. Officials in Baghdad declined to give comment, while the terrorist group boasted on Twitter about the losses the government had incurred. Statements from local residents corroborated the story. The last pocket of government troops attempting to recapture Tikrit reportedly consisted of 700 troops, accompanied by more than a 100 Iranians, according to one local resident. He added that plenty of government equipment has been captured or destroyed in the process. The militants had previously captured millions of dollars in army equipment, which they paraded through every area they seized. “They were being bombarded and mortared all night, and by Friday morning you could see burning helicopters everywhere and the fighting had stopped,” the resident told the news portal. Many executions were also allegedly carried out, while some prisoners were paraded through Tikrit – Saddam Hussein’s birthplace. The campaign has been viewed as one of the most potent successes of the terrorist faction on the Iraqi battlefield. 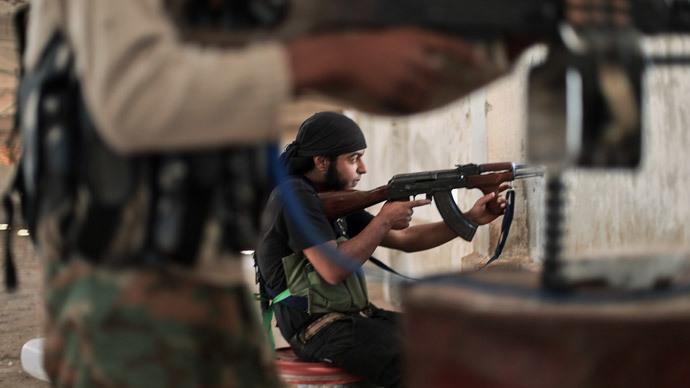 Meanwhile, ISIS also appears to be on the ascendency in Syria. According to reports, at least 270 Syrian troops and civilians died Thursday at the hands of ISIS in Homs province, when a seized gas field was set ablaze, the Syrian Observatory for Human Rights reported. Like with Iraq, the watchdog is calling this the “biggest” success of the jihadist group in the country. “A large majority of the men killed were executed at gunpoint after being taken prisoner following the takeover of the camp,” the group’s director Rami Abdel said. “Eleven of the dead were civilian employees, while the rest were security guards and National Defence Forces members,” he continued. “Thirty martyrs were brought to Homs hospital from the Shaar gas field… Homs is still bleeding,” a pro-government Twitter user was quoted by The Telegraph as saying. He called the events a “massacre,”although no official comment from the Syrian government was given. The anti-Assad Observatory also reported on the deaths of 40 ISIS fighters in the offensive. About 30 people managed to escape the violence into the neighboring Hajjar field, according to the group. There is talk of bloody footage filmed by ISIS, in which fighters pose with corpses. One fighter celebrating the killings speaks a mixture of German and Arabic. The news was followed by condemnation from The Observatory. “Summary execution is a war crime – whether of civilians or combatants. They are prisoners of war and must not be executed,” Abdel Rahman said. The latest violence comes on the heels of a UN report detailing the militant group’s activities. The document tells of 5,000 Iraqi deaths at its hands, many of whom were women and children. The Islamic State has declared a “caliphate” in areas it captured in both Iraq and Syria, while the harshest and most unforgiving form of Islamic Sharia law has been imposed. In Eastern Syria, in Raqqa, two women were stoned to death on Friday and Saturday for adultery, the report by the Observatory claims. The death toll in the Syrian conflict, meanwhile, has climbed to 170,000 following three-plus years of fighting. In a region where Christians predate Muslims by centuries, over one million Christians have been killed or have had to flee because of jihadi persecution, while America is basically standing by and watching. This is the sad news that Breitbart’s National Security Editor and one of the world’s leading experts on asymmetric warfare, Dr. Sebastian Gorka, brought to Breitbart News Saturday, hosted by Editor in Chief Alex Marlow on Sirius XM Patriot Radio. Marlow summed it up by saying, “Christians are politically targeted in America frequently; they are being physically targeted in Africa, Syria, and Iraq.” Gorka emphasized that, from his first hand experiences in Africa, Christians will always be blamed for starting any upheaval. A few days ago we reported that the blitz surge of the “cool”, social network-friendly faction of Al-Qaeda known as ISIS, which over the past week went so far as to declare the formation of its own sovereign state, the Islamic State on the territory of Iraq and Syria, has so irked not only the conventional enemies of extremist fundamentalist Islam but also none other than al-Qaeda itself, which as we explained beforemay be forced to go to war against ISIS in order to preserve its waning relevance, status and credibility. At the center of this rapid and dramatic ascent by a group virtually nobody had heard of as recently as a month ago is a man called Aby Bakr al-Baghdadi, who unlike the leaders of al-Qaeda, has kept an extremely low profile despite his recent appointment as “caliph” by the jihadists. As BBC reports, Abu Bakr al-Baghdadi, the leader of Islamist militant group Isis, has called on Muslims to obey him, in his first video sermon. The video appears to have been filmed on Friday during a sermon at the al-Nouri Mosque in Mosul, northern Iraq. It surfaced on Saturday amid reports that he had been killed or wounded in an Iraqi air raid. The release is notable because the reclusive militant leader has never appeared on video before, although there are photographs of him. In the sermon, at Mosul’s most famous landmark, Baghdadi praised the establishment of the “Islamic state”, which was declared by Isis last Sunday. “Appointing a leader is an obligation on Muslims, and one that has been neglected for decades,” he said. He also said that he did not seek out the position of being the caliph, or leader, calling it a “burden”. “I am your leader, though I am not the best of you, so if you see that I am right, support me, and if you see that I am wrong, advise me,” he told worshippers. In other words, his first video was merely an ideological and emotional appeal to Muslims everywhere to side with him. It remains to be seen if Baghdadi will transform into just another typical Muslim blaming the sorry economic state of his country on Bush, something al Qaeda and others have done before him. For those curious to see Baghdadi’s complete video appearance, it is shown below in its entirety.